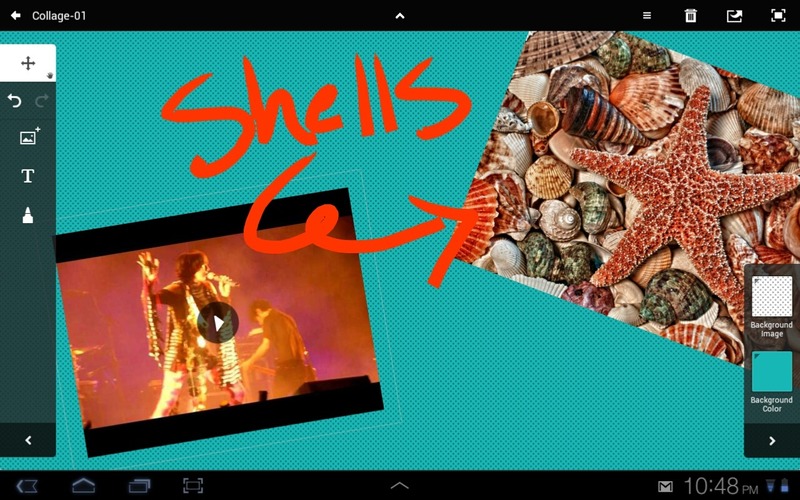 Adobe Collage is a relatively simple app, with relatively sophisticated functionality. What I mean by that is that the app is very easy to use (particularly if you're familiar with the other Touch Apps), but provides practical, quick functionality that helps accomplish your mood boarding goals efficiently and effectively. 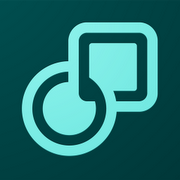 My complaints with this app are relatively few, and, while Collage has a couple of functional issues, it is a great app for getting concepts put together on the fly. Upon starting Collage for the first time, users will be greeted with a familiar screen, showing a handful of sample projects, and menu icons that we've seen before – including Creative Cloud controls, options to save to your device's gallery, and other settings. 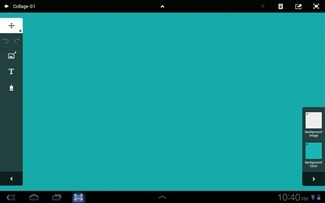 The handy plus sign at the bottom of the screen opens up a new document, automatically sized and ready to go. The first thing you may want to do with your new mood board is set a background. Generally the background of a mood board isn't too important, but Collage offers a variety of patterns to choose from, and each pattern can be customized with any color you choose. For this example I've chosen a simple teal dot pattern. Next, you'll want to add some inspiring images related to your project. 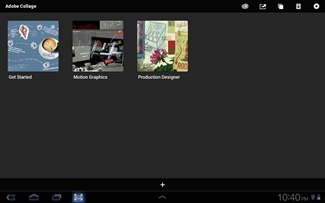 This is one of the areas where Collage (and many of the other Touch Apps) really shines. Images can be added from almost anywhere – the Creative Cloud, your device's storage, Flickr, your device's camera, or Google image search. Those who choose to utilize a Google image search can search either for specific terms, or general, broad categories. Images can be sorted according to type (photo, clip art, face, etc.) or even color. If you want a red shell, simply type "shell" and select the color red. It's really as easy as that. 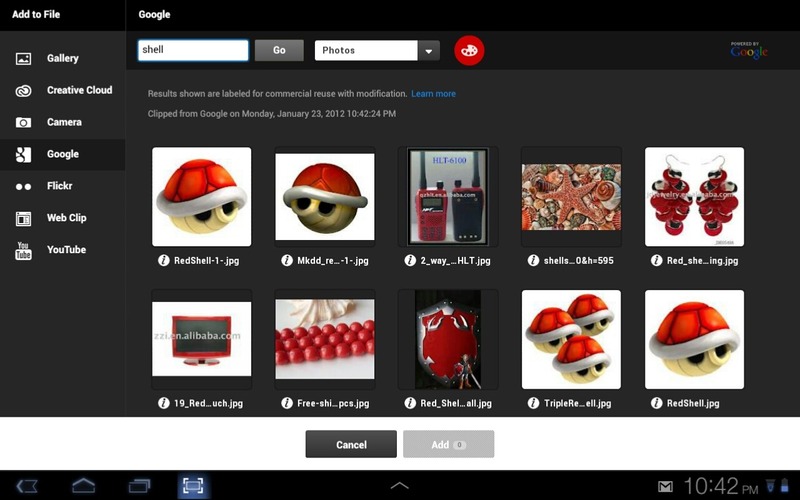 Once you choose one or more images to be added to your board, Collage will download them and slap them into your file. Users can then rotate, resize, or reposition their chosen images to suit their needs. 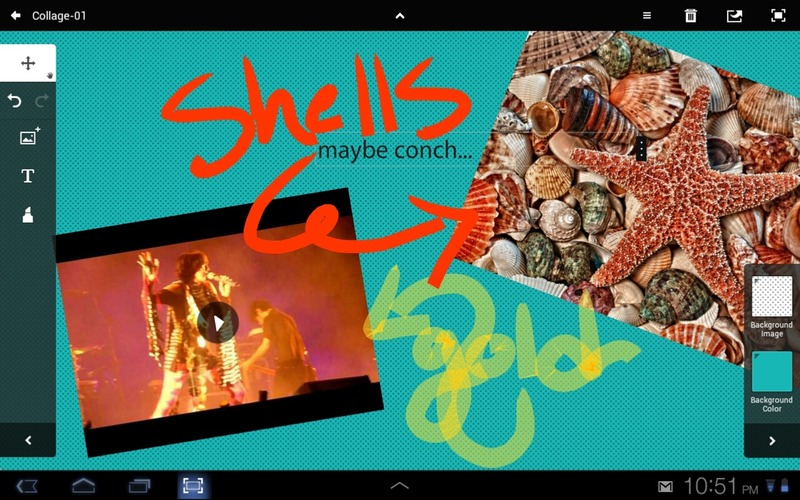 Something that makes Collage all the more dynamic is that users can add videos from YouTube or other sources. This is a surprising and refreshing feature, and works surprisingly well. Even videos can be moved around, rotated, and resized. Of course, when a user clicks a video in the final product, it will open at full screen, as expected. Users can also make use of basic brush tools, including a round tip and chisel tip marker, pencil, pen, and eraser, all adjustable using controls made familiar to us by Adobe's other Touch Apps, allowing quick, easy notations. For those who prefer a bit more control over the textual content of their mood boards, Collage also offers a text input option. 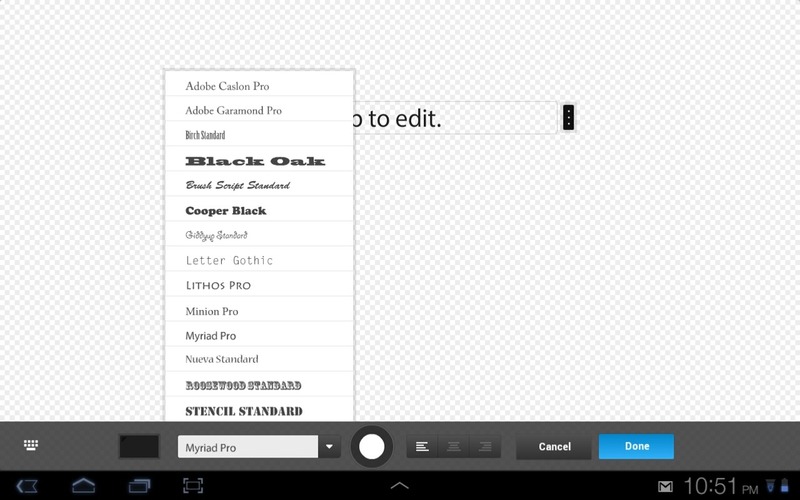 The app offers a relatively vast array of fonts to choose from, and text can be customized in terms of size and color. My only complaint here is that Collage's "double tap to edit" functionality is not exactly intuitive. You actually need to click a couple more times, then get whisked to a totally different screen to edit text, before popping back over to your project to position it. For an app as sophisticated as Collage, I'd expect an easier text input option, or at least one that takes place on the same screen as your main project. 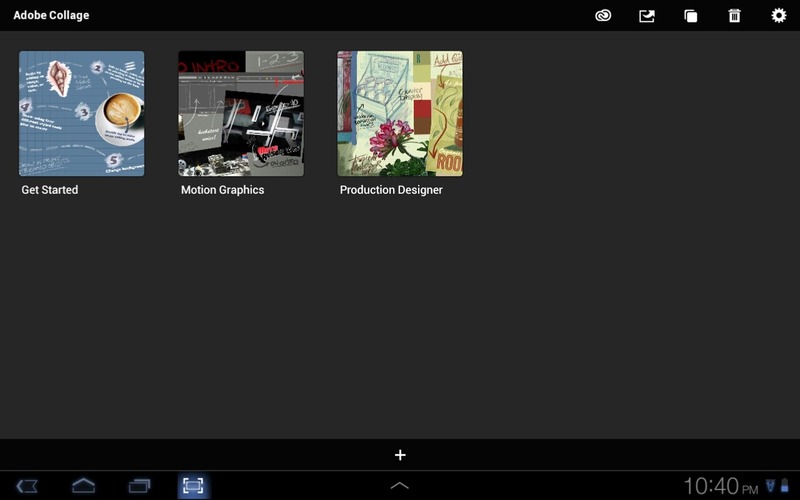 Another complaint I have is with the options available to users who wish to rearrange elements in the mood board. 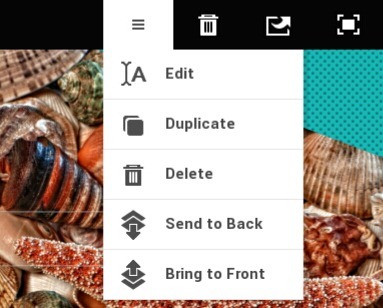 Collage has no real layer interface, instead offering "bring to front" and "send to back" functionality. 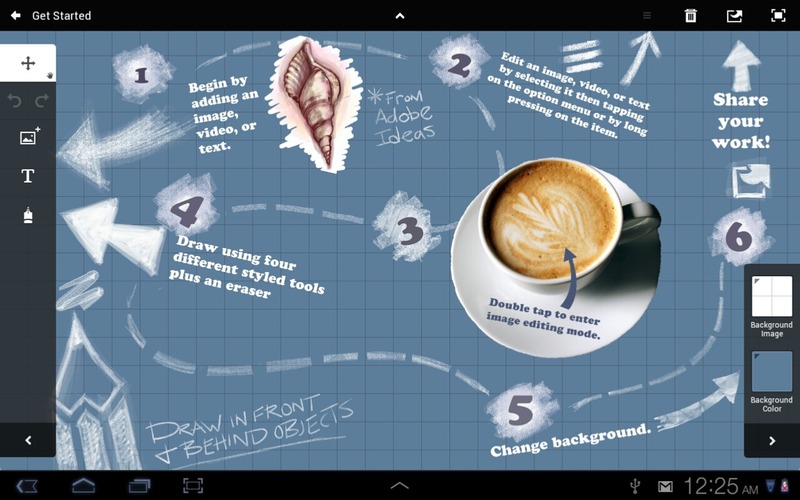 This should be sufficient, except for the fact that, when using the brush or pen tools, users must decide if the strokes will be at the front of the image or the back. Once this is decided, the position of the strokes cannot be changed, and no object can override it. This means that, for example, if you chose to write under the objects on your board, those objects could never end up behind the drawing. I'm not sure for whom this would be a convenient feature, but I would think that more flexibility (ie the ability to reposition brush strokes) would always be a major plus. When you've finally got your collage/mood board worked out, however, saving it is a breeze. Users can save directly to their gallery, share via Bluetooth, Docs, Gmail, Picasa, and a handful of other services, or save and upload to their Creative Cloud space for later use. Overall, Collage stands up to Adobe's other Touch Apps. Personally, I find its few functional inconveniences to be considerable negatives compared to the smooth, polished nature of the other apps, but taking all things into consideration, Collage is good for its intended purpose, which is to provide the ability to create mood boards and generalized concepts on the go. It does this very well, and for those who find themselves responsible for creating cohesive, yet broad concepts on a frequent basis, Collage may indeed be worth its hefty $10.00 price tag.